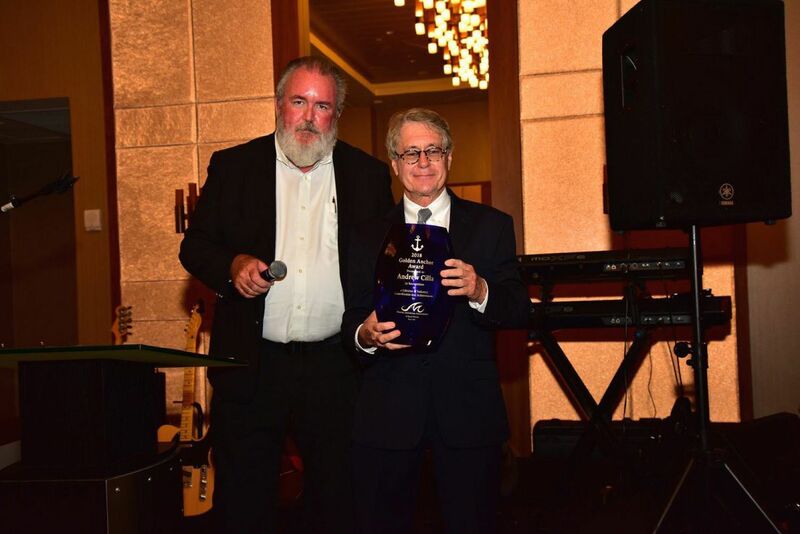 Andrew Cilla, the firms President was honored at the annual Marine Industries Association of South Florida dinner and award ceremony with the Golden Anchor Award. In recognition of a lifetime of industry contribution and achievement. Past recipients were Bob Roscioli of Roscioli Shipyard, Wayne Huzienga Jr. of Rybovich Shipyard and Roy Merritt of Merritt’s Boats.